Book News: James Patterson Makes Good On $1M Promise To Indies : The Two-Way With a final $437,000 push, his plan to donate $1 million of his own money to support independent booksellers is complete. Also: Judy Blume is set to publish her first adult novel in 15 years. 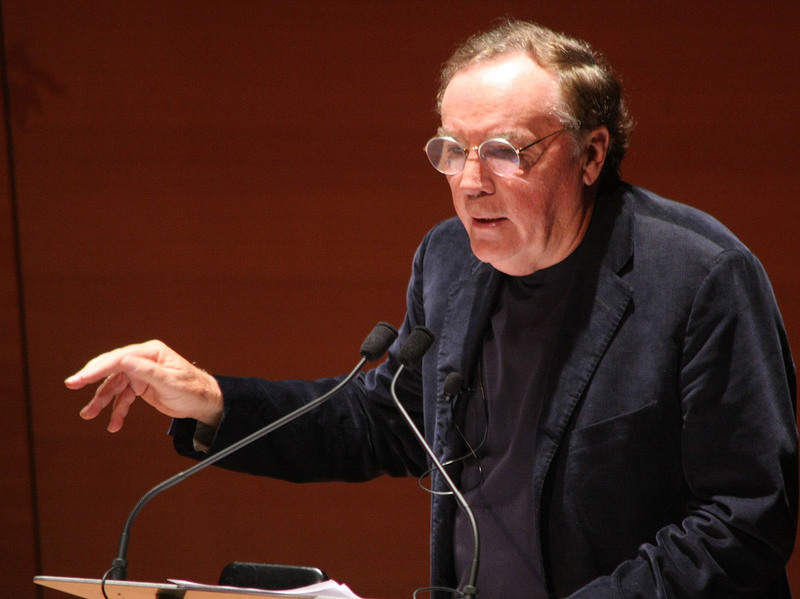 James Patterson, together with a cadre of co-writers, consistently produces more than 10 books a year. Forbes estimates that Patterson made $90 million this year alone. Less than 10 months from the day James Patterson swore a million-dollar promise, he has kept his word. The best-selling novelist announced he has donated about $437,000 to 81 independent bookstores — a gift that completes his plan to donate $1 million of his own money to support independent booksellers. When he first declared that plan in February, he spoke with NPR's Renee Montagne about his motivations. "We're in a juncture right now where bookstores as we have known them are at risk," he said. "Libraries as we've known them are at risk, publishers are at risk, American literature is at risk, as we've known it, and getting kids reading is at risk." The recent gift marked the third phase of his campaign, and it brings the sum of his donations several thousand past his goal. To date this year, Patterson has donated $1,008,300 to 178 bookstores across the U.S, with no strings attached. Publishers Weekly offers a list of the indies included in the third round, and the School Library Journal details how one of them plans to use the funds. Patterson himself struck a much more positive note in a statement to the press than in his early interview with NPR. "Here's to more parents and grandparents coming to their senses and giving their kids books —yes, books — for Christmas and other holidays," he said. "Here's to local governments waking up to the fact that bookstores and libraries are essential to our way of life. Here's to media coverage of books, booksellers, and publishers, and to a wiser, more literate America. Happy holidays to one and all!" Blume's Back: Judy Blume is set to publish her first novel for adults since 1998. The beloved children's book author has set a June 2 release date for the book, In the Unlikely Event. People magazine offers a few preliminary notes on the plot: It'll be set in Blume's native New Jersey of the 1950s, hewing closely to real-life airplane crashes in the area at the time. Kids' Lit To The Rescue: The Association of American Publishers has tallied book sales for the first three quarters of 2014, and the numbers are likely to leave publishers smiling. GalleyCat reports that through September, total net revenue is up by 4.9 percent compared to the same period last year. The modest gains are driven in large part by a 22.4 percent surge from children's and young adult literature. Teens Prefer Print: As long as we're on the topic of numbers, here's another interesting one: In a recent study from Nielsen, about 20 percent of teens aged 13 to 17 reported they would buy e-books — a number that lags significantly behind the other age groups in the poll. The Nielsen blog offers the gloss: "While younger readers are open to e-books as a format, teens continue to express a preference for print that may seem to be at odds with their perceived digital know-how." Merriam-Webster Gets Cultured: In picking its word of the year, Merriam-Webster dispensed with the hot-blooded newcomers and went with a classic instead: "culture." The dictionary picked the word for its sharp increase in usage — lookups have risen 15 percent over last year, according to The Associated Press — and that rise could have something to do with its sheer versatility (or its ambiguity). Peter Sokolowski, editor-at-large for the dictionary, told the AP that the word is like a "chameleon," explaining, "When you put it next to another word it means something very different." Whatever its meaning may be, "culture" has company. Oxford Dictionaries has picked "vape" for the word of the year; Collins English Dictionary selected "photobomb"; Chambers Dictionary got "overshare" and Dictionary.com went with "exposure." These, folks, are the defining words of our year.